Add and Subtract, a game to learn the first calculations. Adding and subtracting has never been so much fun! 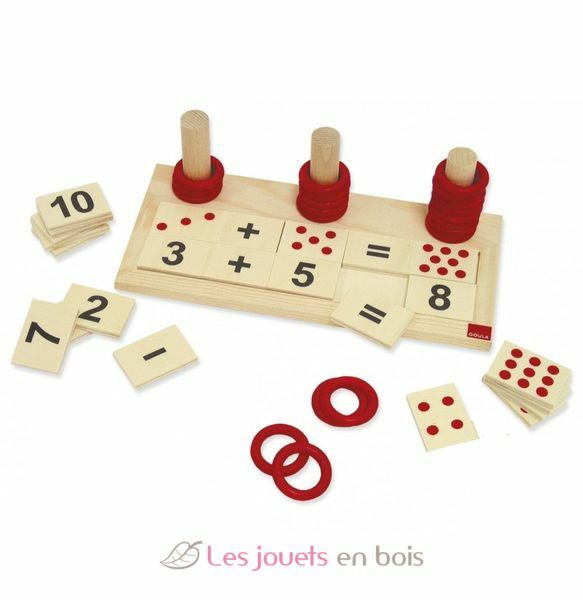 This educational game facilitates the learning of additions and subtractions. It helps to understand the notion of quantity associated with each digit. 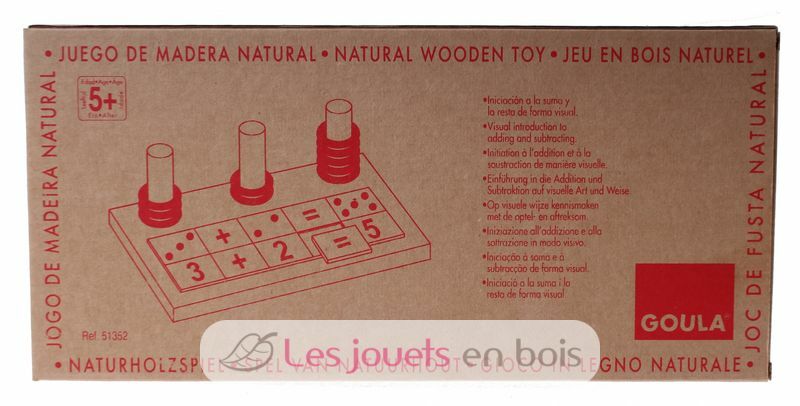 A wooden educational toy that allow the development of the child in autonomy as envisaged Montessori pedagogy. 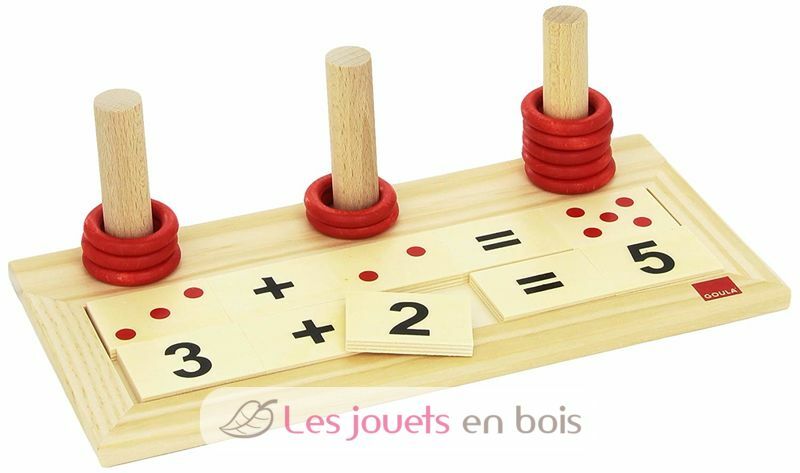 Add and Subtract, an educational wooden game made by Goula. Item number 51352.